We’ve just released a new version of Frosted for iPad, iPhone, and iPod Touch! Frosted is no longer stretched, and now displays correctly. Scene scales properly for iPhone 6. Frosted is part of the Skyrocket Celebration Pack for iOS devices! NightLights for both iOS and OS X have been updated to version 2.1! Now you can adjust the spacing between bulbs! Added camera button to toolbar that saves your screen to the Photos app / hard drive! New Angel, Bell, and Bow shaped lights! 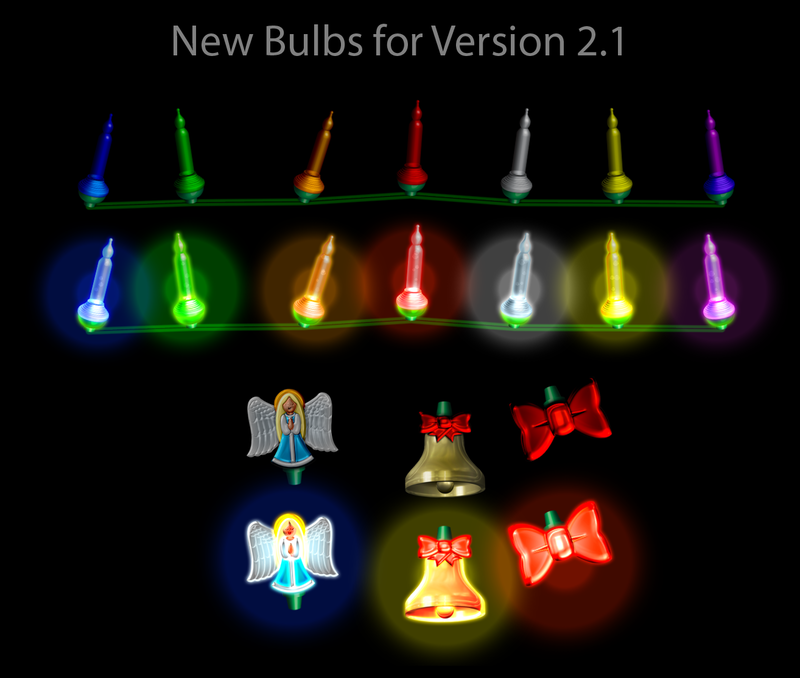 Enhanced the “C7”, and “Mini” bulb artwork! Enhanced Falling Leaves, Rain, Snow, and Fireplace effects. You can now disable, or change the frequency, of lightning in rain mode. View NightLights over open apps and desktop (Mac OS X version). Supports portrait mode on iOS devices.